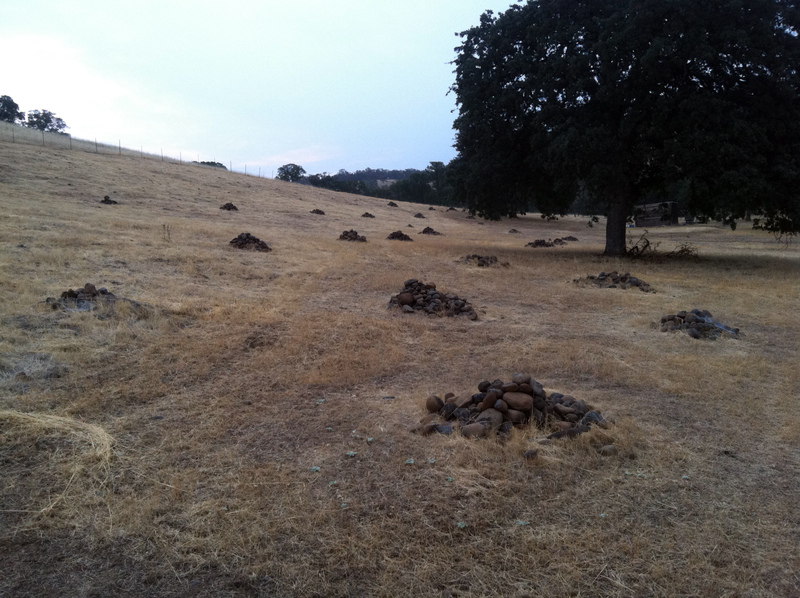 Strange rock mounds appeared in this field in rural Northern California. I’m oddly fascinated by this picture. It goes with Art In The Forest or in this case Art In The Woodland. Anybody out there care to guess the significance of this scene? Hmmmm. This entry was posted in Art In The Forest And Other Oddities and tagged field, mystery, rock mounds, strange by foresterartist. Bookmark the permalink. You have solved the mystery! They are from giant alien space gophers. LOL! I know all too well, what they are from! But it’s my secret! Did you know that bigfoot has been seen in these parts? Just saying.